This offer includes a complementary consultation and 4 free sessions. Hurry! This limited time introductory Overload offer expires on 3/31/2019. Then we will get you started on a high intensity-low force total body strength training program that is catered to you and your body specifically. Once your Overload Fitness assessment has been completed you will then come to the gym and be trained twice a week for 20-25 minutes per session. Each session is the equivalent of an hour's workout at any other gym! 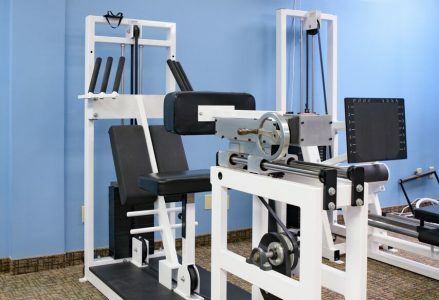 Clinically controlled atmosphere with a room temperature maintained at 62 degrees and a private, distraction-free gym (no music, no mirrors, no loud clients or instructors). 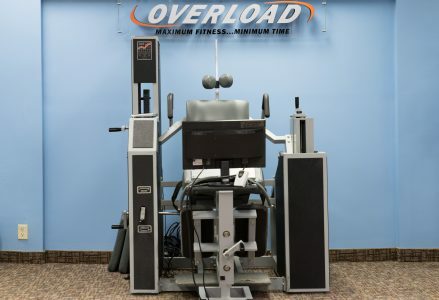 Overload Fitness provides state-of-the-art equipment that has been engineered towards low friction between each of your movements and muscle joint functions. Overload is the only gym that has used the combinations of RenEx, SuperSlow Systems, MedX & DAVID - making it the most scientifically advanced gym in the world. This machine statically (no movement required) works the latissimus in a time static pullover & pulldown combo. Provides work for the adbomen, glutes & hamstrings while neurologically turning off the hip flexors. 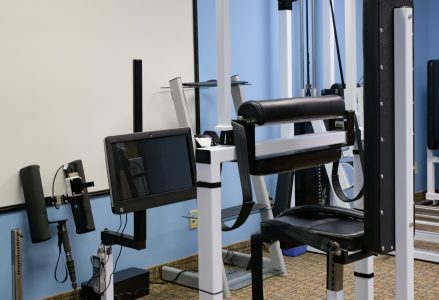 These two machines work in concert to enhance the functionality of the postural muscles that support the neck and upper back. The Most Advanced Gym in The World. Proven To Reduce Pains & Increase Gains in Minimum Time. Stop settling for less. 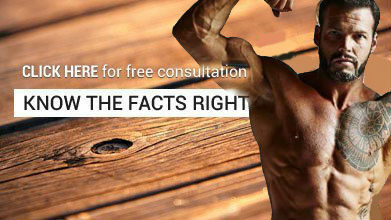 Get personal training at the world's most scientifically advanced gym and see real results in a fraction of the time. Get your free trial now. 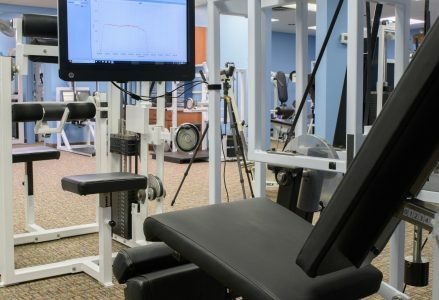 More Coverage: Overload Fitness & it's owner Joshua Trentine have been featured on Cleveland.com, ESPN News, Mimi Vanderhaven, Trapper Jack and dozens of fitness related podcasts, websites & magazines. Joshua Trentine also co-authored the fitness book: 3 Steps to Your Best Body in Record Time. Visit "In The News" to see more of Overload Featured across the United States. "I was amazed at how much of a workout you can get in 20 minutes and how awesome the machines were. 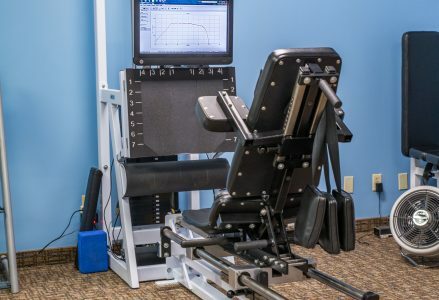 My favorite machine was the static pulldown that was computerized and completely fatigued my lats. I wish we had a Overload Fitness in Jamestown." "So excited to have started physical therapy sessions with Josh Bain today! Starting my New Years resolution early this year !! Soon no more limping around like I'm 80 years old! Thank you Josh!" "Overload really is the best time you can spend in the gym. Honestly, at first I didn't buy into the possibility of only working out for 20 minutes and getting the same results as I would if I worked out for an hour. 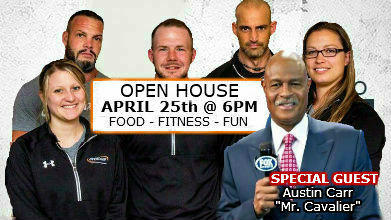 Boy was I wrong..."
Stay up to date with the latest fitness news and offers that Overload has to offer. Do I need to perform aerobics for my heart/cardiovascular conditioning? During a high intensity workout the muscles place a significant demand on the heart and lungs to supply them oxygen and nutrients and to remove metabolic wastes. By limiting the rest interval between exercises an elevated heart rate is maintained for the duration of the workout, providing better cardiovascular conditioning than aerobics, in a safer and more efficient manner. As early as 1975, research at West Point Military Academy showed resistance training produced a tremendous cardiovascular benefit. Do I need to stretch to maintain or improve my flexibility? All exercises are performed through the fullest possible range of motion, providing stretching for enhanced flexibility. Unless you are participating in activities requiring an above-average degree of flexibility such as some styles of dance, martial arts and certain sports like gymnastics, no additional stretching is necessary. Will strength training help me lose fat or do I also need to perform aerobics to burn calories? Muscle is one of the most metabolically active tissues in the body. According to some estimates, every pound of muscle tissue gained burns an additional 35 to 50 calories per day. More importantly, strength training prevents the loss of muscle and bone tissue while in a caloric deficit. Proper strengthtraining will increase metabolism even in a reduced calorie diet. On the other hand, aerobics or “cardio,” only tells the body to lose excess tissue. The muscle and tissues of other organs that contributeto metabolism are wasted during this kind of exercise. Keep in mind that as we age we are susceptible to fat gain at a rate of about one pound a year due to a reduction in metabolism caused by a gradualloss of muscle starting in the mid 20’s. The average person loses approximately half a pound of muscleper year. By the mid 40’s this adds up to a loss of 10 pounds of muscle and a gain of 20 pounds of faton average. Although the net difference is only around 10 pounds, the detrimental effect on one’s physical appearance is dramatic. The only effective way to reverse this is strength training. When combined with a well-balanced, moderately reduced-calorie diet, high intensity strength training has proven to be a more effective, more time efficient, and safer method of losing fat and improving body shape than aerobics. Are one or two thirty-minute workouts per week enough? A professionally-supervised high intensity workout is both very intense and very time effective. The body receives a greater exercise stimulus with less wasted time. Exercise stimulates the body to improve, but it is the body that produces the improvements. For the body to produce the fitness and appearance improvements stimulated by the workout, time off for recovery and adaptation is required. While the required time for recovery and response varies between individuals, we’ve found most people experience the best results training once every two to three days (twice a week). Some people achieve better results training slightly more frequently, and some do better training less frequently. Your Overload trainer will determine the best training frequency for you based on your body’s response to exercise and then results you want to achieve. I’m a woman and don’t want big, bulky muscles. Won’t strength training make me big? How large a person’s muscles can become is ultimately dictated by his or her genetics. Although strengthtraining will improve the strength and tone of any woman’s muscles, only a few very rare women have the hormonal profile or genetic predisposition to develop large muscles. For most women, an increase in muscle will dramatically improve their appearance in many ways. Well developed back and shoulder muscles improve posture and make the waist appear smaller. Well developed arm and leg musclesimprove the tone and appearance of common problem areas such as the back of the upper arms and thighs. Well developed calves improve the appearance of the legs, as well as help prevent the formation of varicose veins. Well developed pectoral muscles can improve the appearance of the bust. Most importantly,more muscle burns more calories. As mentioned in the question on fat loss above, many women gain fat as they age due to a reduction in metabolism caused by a gradual loss of muscle starting in the mid 20’s. The average woman loses approximately half a pound of muscle per year beginning in their mid 20’s, andgains approximately one pound of fat. By the mid 40’s this adds up to a loss of 10 pounds of muscle anda gain of 20 pounds of fat on average. If you are after a younger, more vibrant feminine body, you want more muscle. I’m a man and want bigger muscles. Will high intensity training help me achieve this? How large a person’s muscles can become is ultimately dictated by their genetics. Overload’s high intensity training protocol will enable you to maximize your muscles genetic potential for size. Several Overload trainers have successfully competed in body building contests using Overload’s high intensity training methods.Where did high-intensity strength training originate? High intensity strength training originated over 30 years ago with the creation of Nautilus Industriesin the late 1960’s. Nautilus was largely responsible for starting the American fitness movement. Unfortunately, popular exercise has deviated from the original Nautilus principles and has left the majority of the population with inadequate fitness solutions. That is until now. Thanks to Overload you can again experience the truest form of exercise and the rapid results it produces. Our high intensity strength training program provides the maximum benefit from exercise in only two twenty minute workouts a week. Note: We are willing to work around your schedule. These times merely reflect our standard operating times.